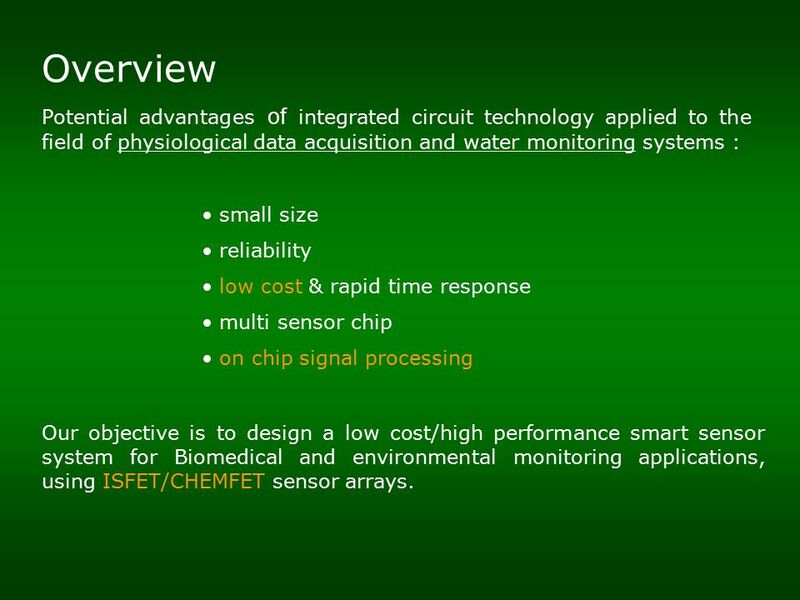 3 Overview Potential advantages of integrated circuit technology applied to the field of physiological data acquisition and water monitoring systems : small size reliability low cost & rapid time response multi sensor chip on chip signal processing Our objective is to design a low cost/high performance smart sensor system for Biomedical and environmental monitoring applications, using ISFET/CHEMFET sensor arrays. 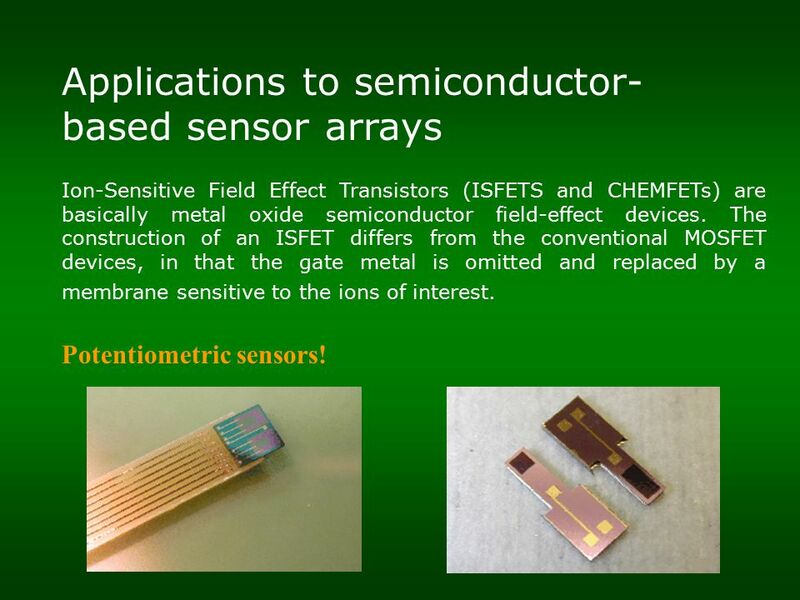 9 Applications to semiconductor- based sensor arrays Ion-Sensitive Field Effect Transistors (ISFETS and CHEMFETs) are basically metal oxide semiconductor field-effect devices. 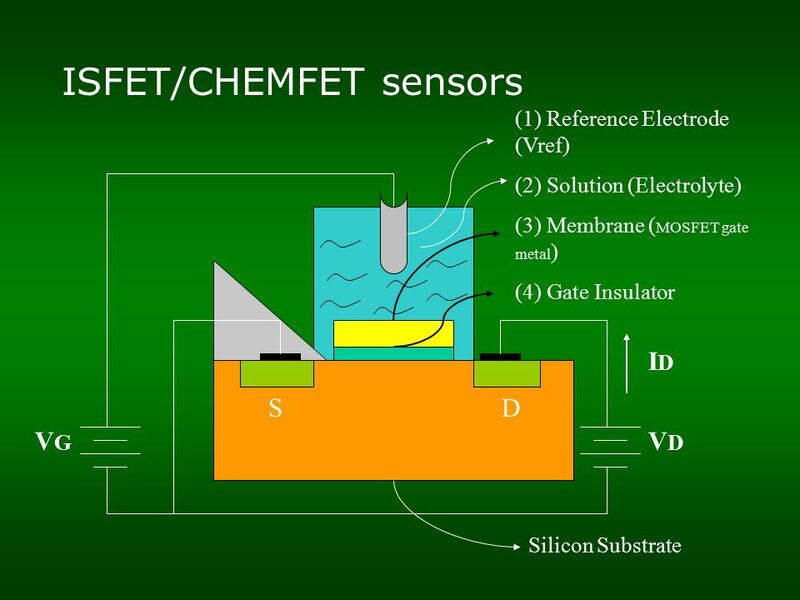 The construction of an ISFET differs from the conventional MOSFET devices, in that the gate metal is omitted and replaced by a membrane sensitive to the ions of interest. 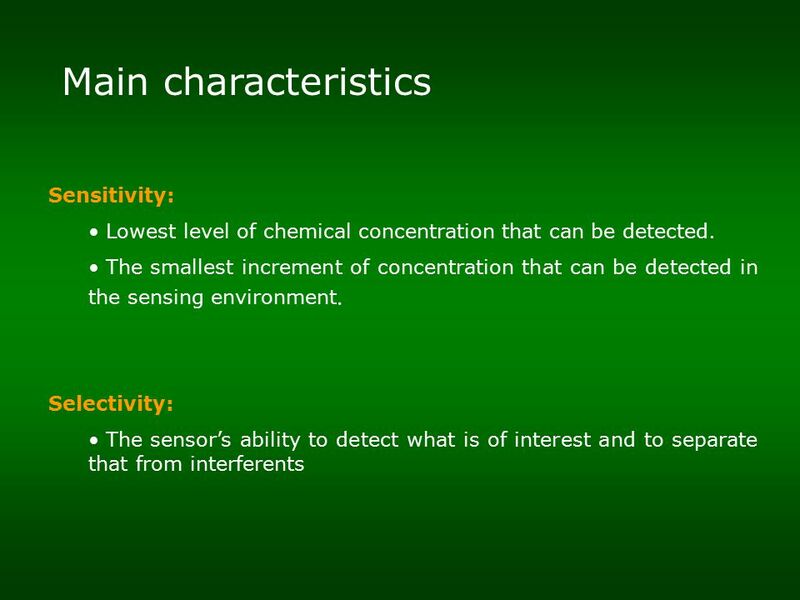 Potentiometric sensors! 16 Solutions: 1. 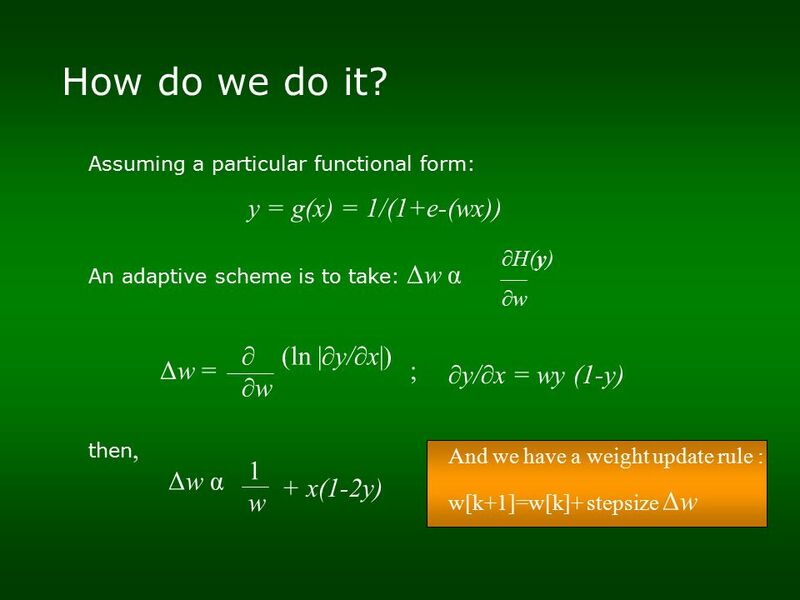 Classical methods : calibration (LUTs, polygonal interpolation, progressive calibration) compensation (Structural, adjust, etc) 2. 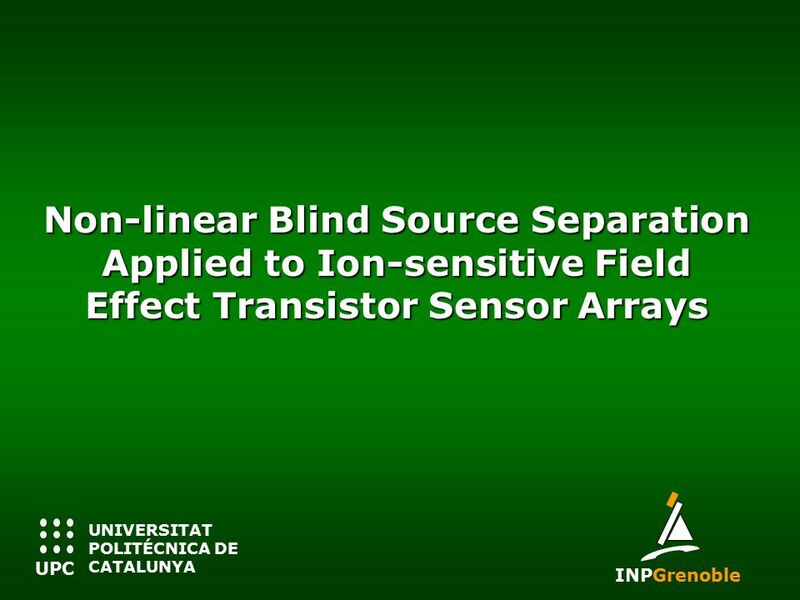 ISFET SOURCE SEPARATION techniques Advantages: Cancel crosstalk (added noise caused by interferent ions Cancel cross-sensitivity (when the response varies with the temperature – drift). 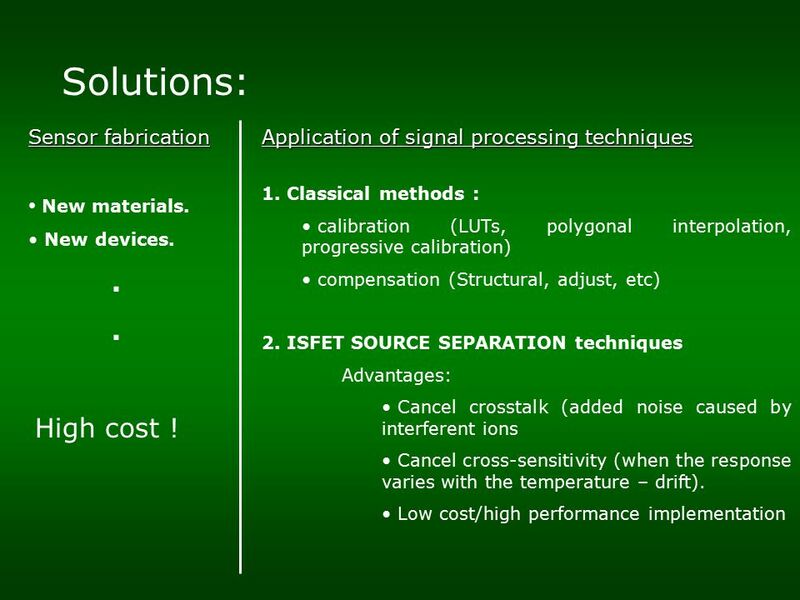 Low cost/high performance implementation Sensor fabrication Application of signal processing techniques New materials. New devices.. High cost ! 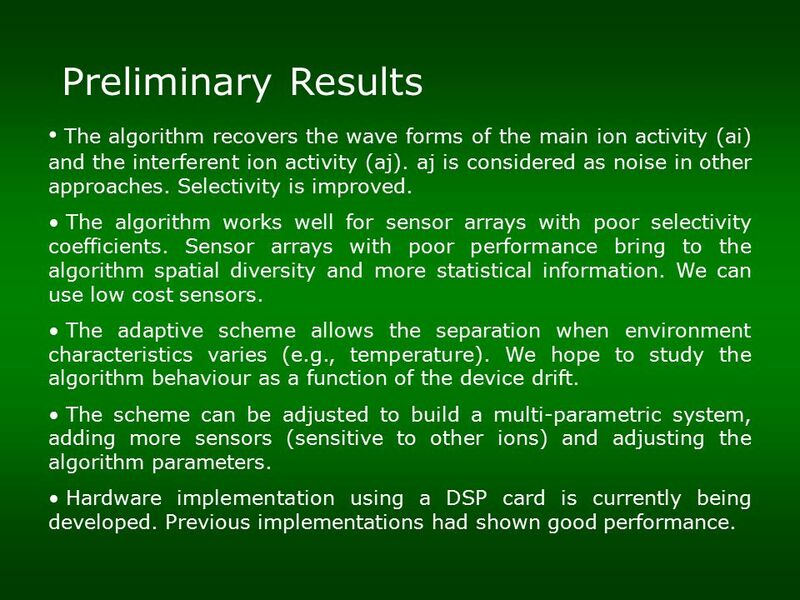 20 Preliminary Results The algorithm recovers the wave forms of the main ion activity (ai) and the interferent ion activity (aj). aj is considered as noise in other approaches. Selectivity is improved. 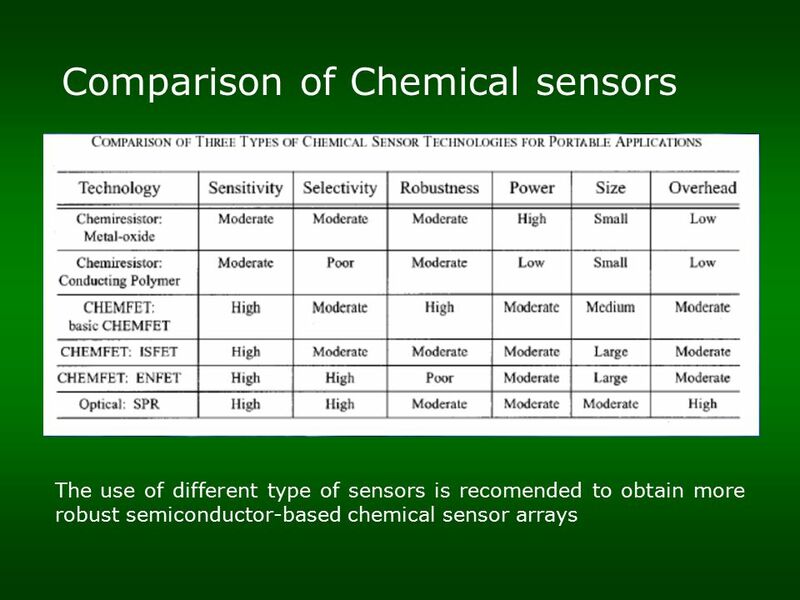 The algorithm works well for sensor arrays with poor selectivity coefficients. 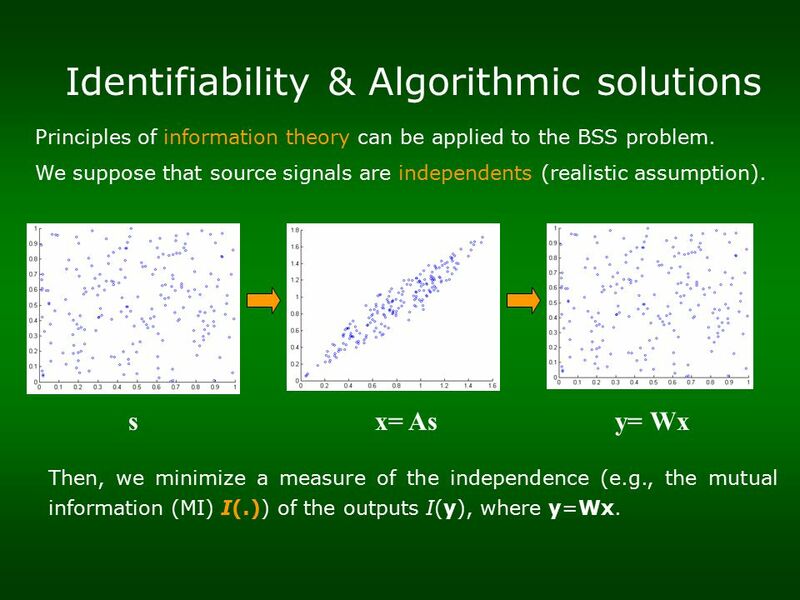 Sensor arrays with poor performance bring to the algorithm spatial diversity and more statistical information. 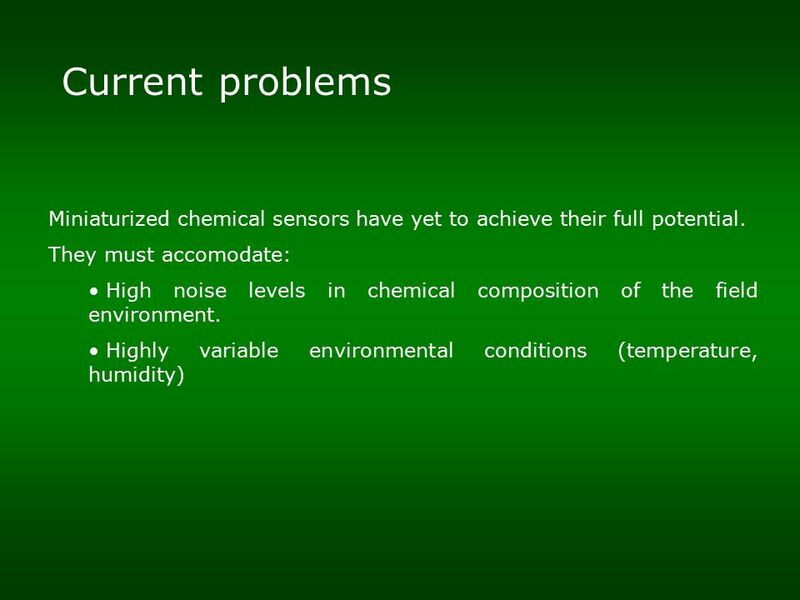 We can use low cost sensors. 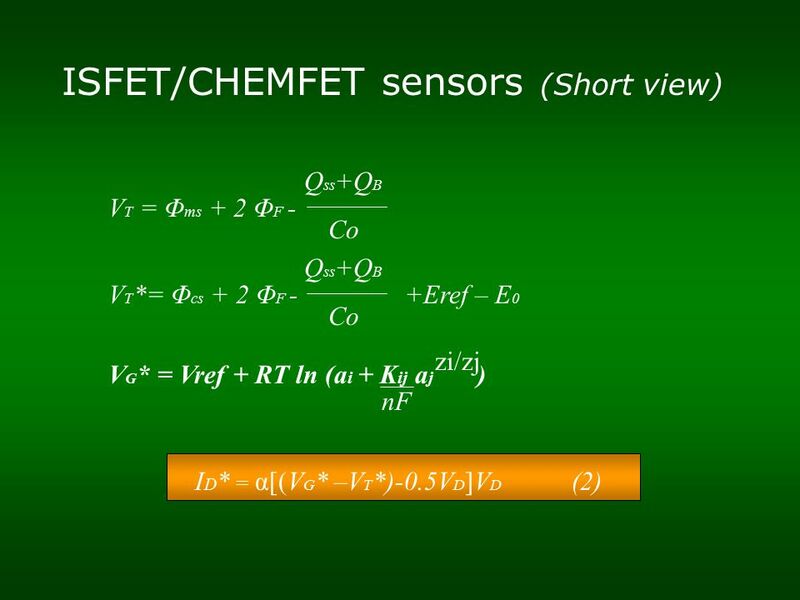 The adaptive scheme allows the separation when environment characteristics varies (e.g., temperature). 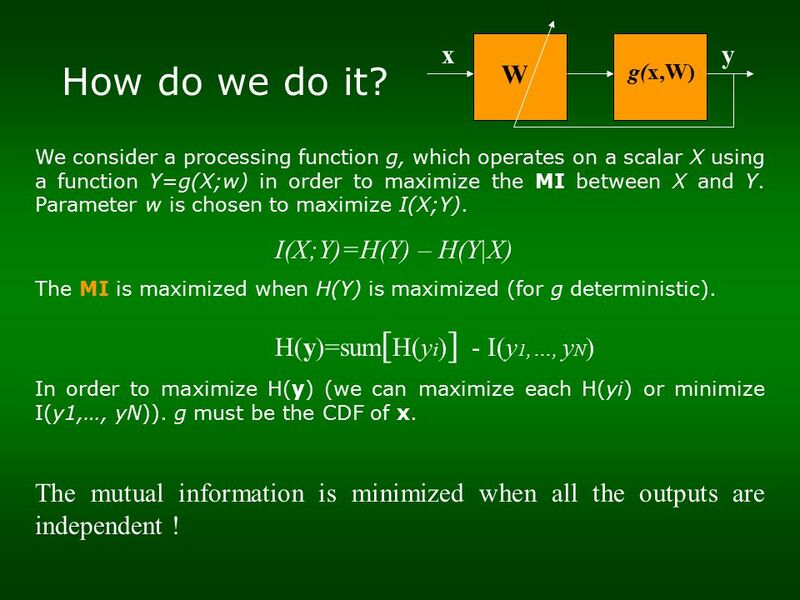 We hope to study the algorithm behaviour as a function of the device drift. 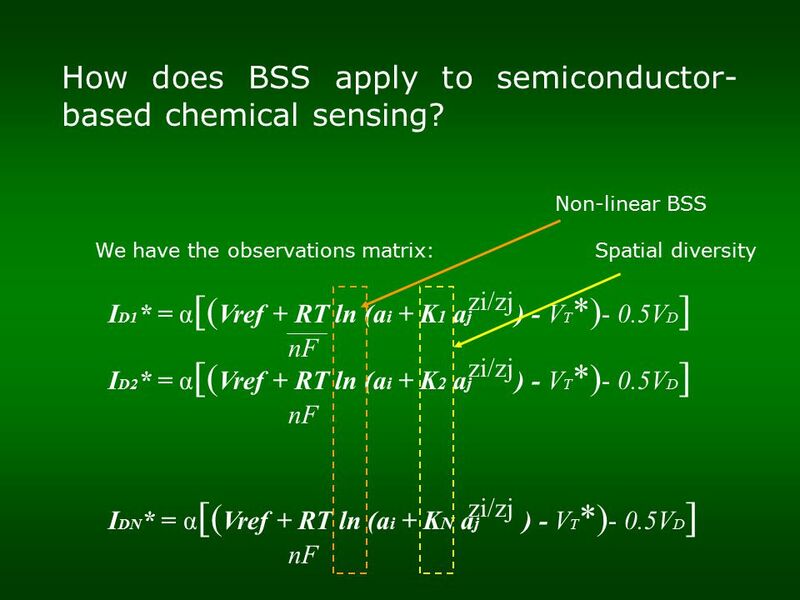 The scheme can be adjusted to build a multi-parametric system, adding more sensors (sensitive to other ions) and adjusting the algorithm parameters. Hardware implementation using a DSP card is currently being developed. Previous implementations had shown good performance. 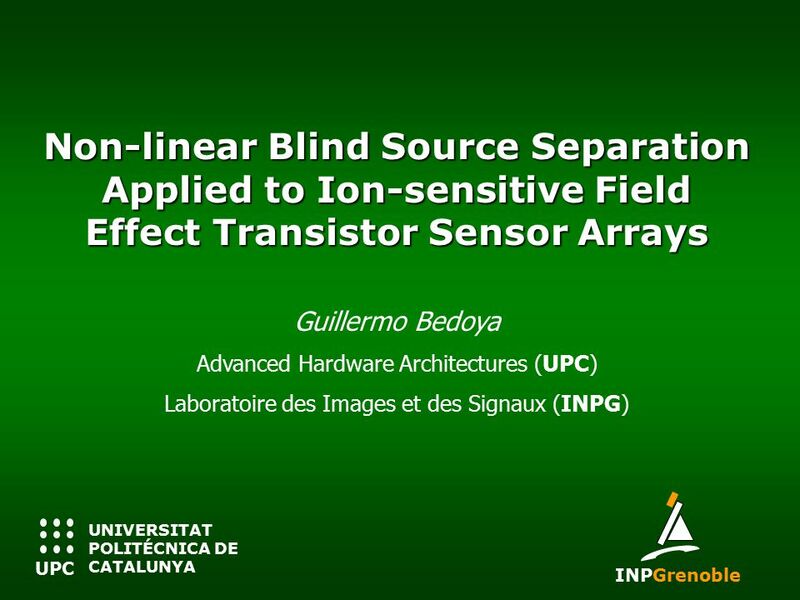 Download ppt "Non-linear Blind Source Separation Applied to Ion-sensitive Field Effect Transistor Sensor Arrays Guillermo Bedoya Advanced Hardware Architectures (UPC)"
Object Specific Compressed Sensing by minimizing a weighted L2-norm A. Mahalanobis. 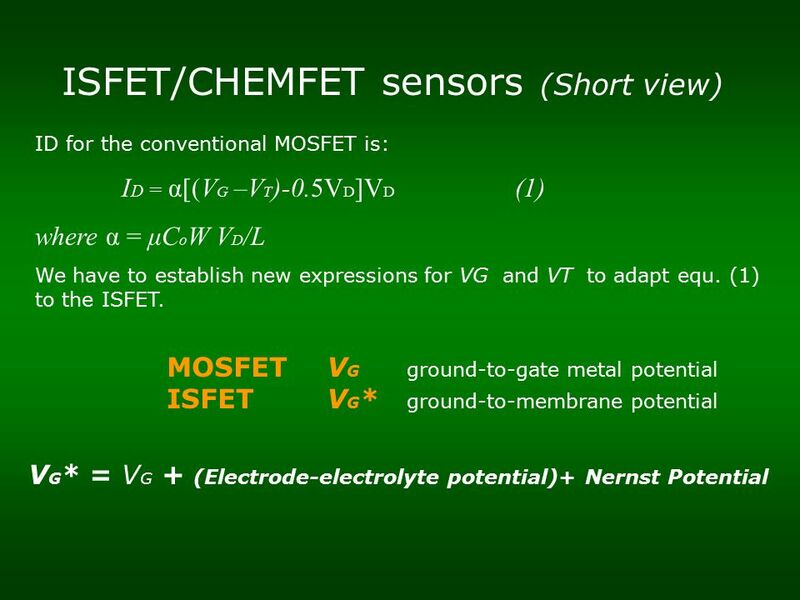 Fall 2014, Prof. JB Lee Ion Sensitive FET (ISFET) - What and Why? Microphone Array Post-filter based on Spatially- Correlated Noise Measurements for Distant Speech Recognition Kenichi Kumatani, Disney Research, Pittsburgh. 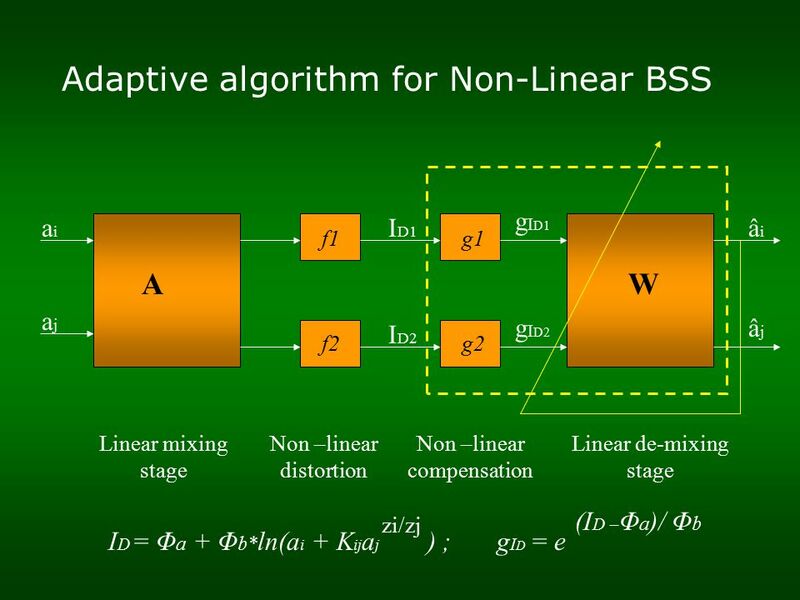 GlobColour CDR Meeting ESRIN July 2006 Merging Algorithm Sensitivity Analysis ACRI-ST/UoP. Distributed Microsystems Laboratory: Developing Microsystems that Make Sense Integrated, Distributed Sensing Nodes for Hear/Smell Functionality Sponsoring. Chapter 6 Feature-based alignment Advanced Computer Vision. 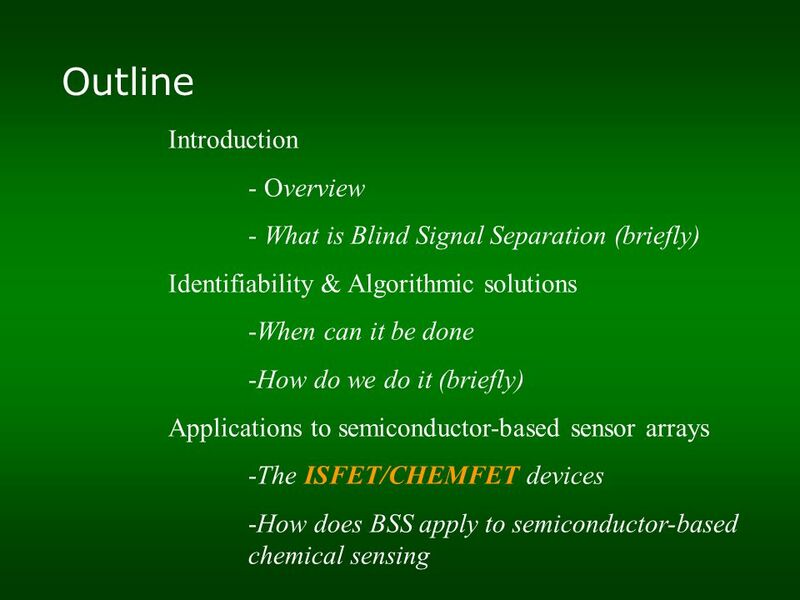 S-SENCE Signal processing for chemical sensors Martin Holmberg S-SENCE Applied Physics, Department of Physics and Measurement Technology (IFM) Linköping. Maximum likelihood separation of spatially autocorrelated images using a Markov model Shahram Hosseini 1, Rima Guidara 1, Yannick Deville 1 and Christian. 1/44 1. ZAHRA NAGHSH JULY 2009 BEAM-FORMING 2/44 2. 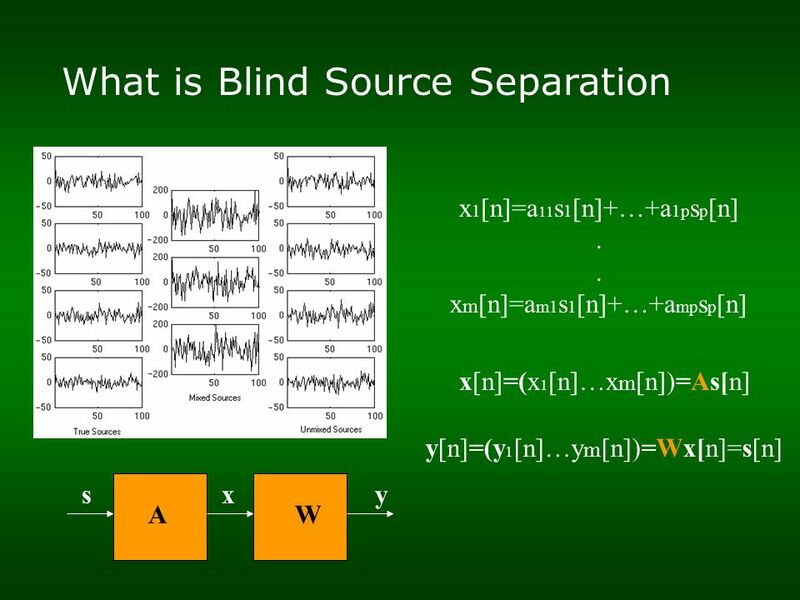 280 SYSTEM IDENTIFICATION The System Identification Problem is to estimate a model of a system based on input-output data. 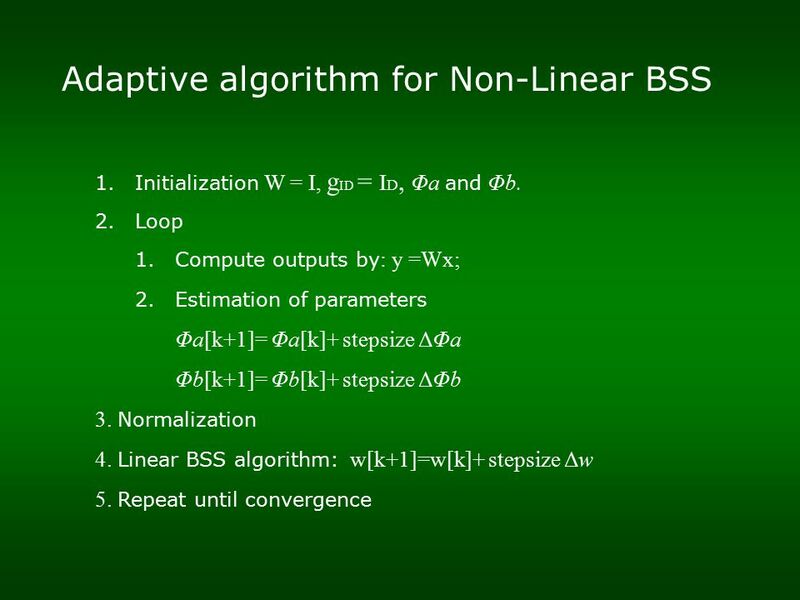 Basic Configuration continuous. Top Level System Block Diagram BSS Block Diagram Abstract In today's expanding business environment, conference call technology has become an integral. Computer Vision Laboratory 1 Hiperlearn: A Channel Learning Architecture Gösta Granlund Computer Vision Laboratory Linköping University SWEDEN. 3/24/2006Lecture notes for Speech Communications Multi-channel speech enhancement Chunjian Li DICOM, Aalborg University. Subband-based Independent Component Analysis Y. Qi, P.S. Krishnaprasad, and S.A. Shamma ECE Department University of Maryland, College Park. 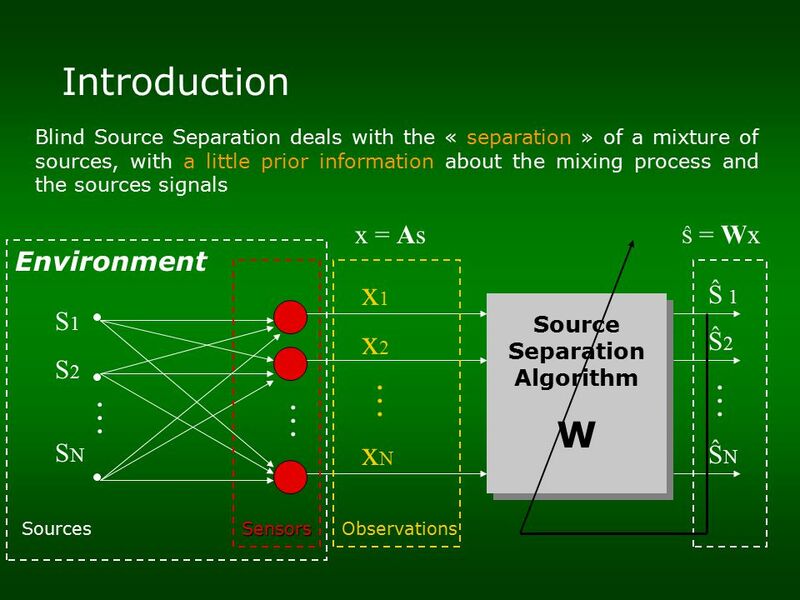 Full-rank Gaussian modeling of convolutive audio mixtures applied to source separation Ngoc Q. K. Duong, Supervisor: R. Gribonval and E. Vincent METISS.